New York City alone accounted for 75% of the jobs created in the New York metropolitan region since the recession, according to a forthcoming report from the Department of City Planning. Marisa Lago, Director of the Department and Chair of the City Planning Commission, joined CBC to discuss some of the report's findings as well as neighborhood revitalization, housing affordability, and resiliency and sustainability. “Geography of Jobs” is a product of the Department of City Planning’s first foray into regionalism, led by DCP’s relatively new regional planning unit, launched under former Chair Carl Weisbrod. The report is the product of a collaboration among leaders of cities throughout the metropolitan region, defined by DCP as inclusive of New York City and 26 neighboring counties in Northern New Jersey, Southern Connecticut, the Hudson Valley, and Long Island. Lago spoke of the report’s affirmation of the region’s economic strength. As a whole, New York City and its surrounding counties have a gross domestic product (GDP) of $1.7 trillion, one-tenth of the national GDP. If the region were its own country, its economy would rank squarely between South Korea’s and Russia’s. Twenty-three million people live in the region, of whom 8.6 million live in New York City, though nearly 30% of the city’s workforce lives beyond its limits. “Geography of Jobs” reveals deep disparities between New York City and its environs. Sixty percent of the region’s jobs are outside of New York City, and, over the two-decade stretch before 2008, New York City accounted for roughly 33% of job growth in the region. Since the recession, however, 75% of regional job gains have been in the city. The report also shows that New York City is gaining younger workers, defined as those aged 25-54, at a rate three times higher than the national average. The rest of the region, however, has an aging workforce. The final conclusion of “Geography of Jobs” that Lago shared on Tuesday morning relates to employment categories: the bulk of New York City’s employment growth has been in professional office jobs, while markets beyond the city are increasingly filled with healthcare and local service workers. 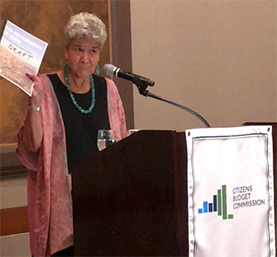 The Department of City Planning’s recent emphasis on regional planning reflects its belief, Lago said, in “the commonality of our challenges” on topics ranging from climate change to housing stock. This theme was prominent in her discussion of the city’s resilience against climate change. With 520 miles of shoreline, 400,000 residents in a FEMA-designated flood plain, and all but a single community district at least partially in danger of flooding, New York City is threatened by sea level rises and future Superstorm Sandy-type events. According to the OneNYC city resilience plan distributed at the event, sea levels in New York City have already risen a foot over the past 100 years, and are expected to increase by between 8 and 30 inches by the 2050s, and by between 15 and 75 inches by the century’s end. “Sandy showed us that Mother Nature knows no boundaries, and she certainly doesn’t adhere to political boundaries,” Lago remarked. By reforming flood insurance standards, enhancing and making permanent the emergency flood resilience zoning measures of October 2013, and modifying zoning regulations, among other measures, Lago said that the DCP hopes to “future-proof” New York. She also emphasized the role zoning can play in facilitating job growth. Though every borough has benefited from recent job growth, outdated zoning regulations that “evidence a love of the car” constrain new development, Lago said. The census is important on numerous fronts. New York State is already slated to lose one seat in the House of Representatives due to its shrinking population, and undercounting in the city could lose it two. 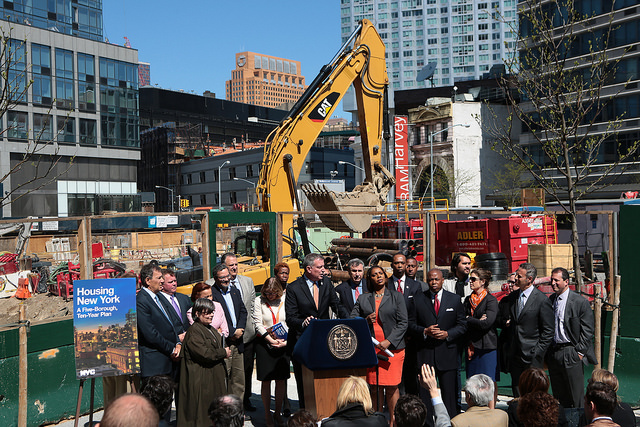 New York City receives $7 billion annually in government funding that’s dependent on the city’s size. The city’s population has grown by 5.5% since the previous census, in 2010, and most of this increase is due to immigration. Thirty-eight percent of New Yorkers are foreign-born, and an additional 22% were born in the United States to at least one immigrant parent. Half of Queens residents were born outside the country. But the proposed addition of a citizenship question to the census threatens to depress turnout in a city where one in seven households contains a person without legal immigration status. Lago called on the attendees to “look to your community” and spread the word that the Census Bureau would not share citizenship information with other governmental organizations, like Immigration and Customs Enforcement and Customs and Border Patrol. 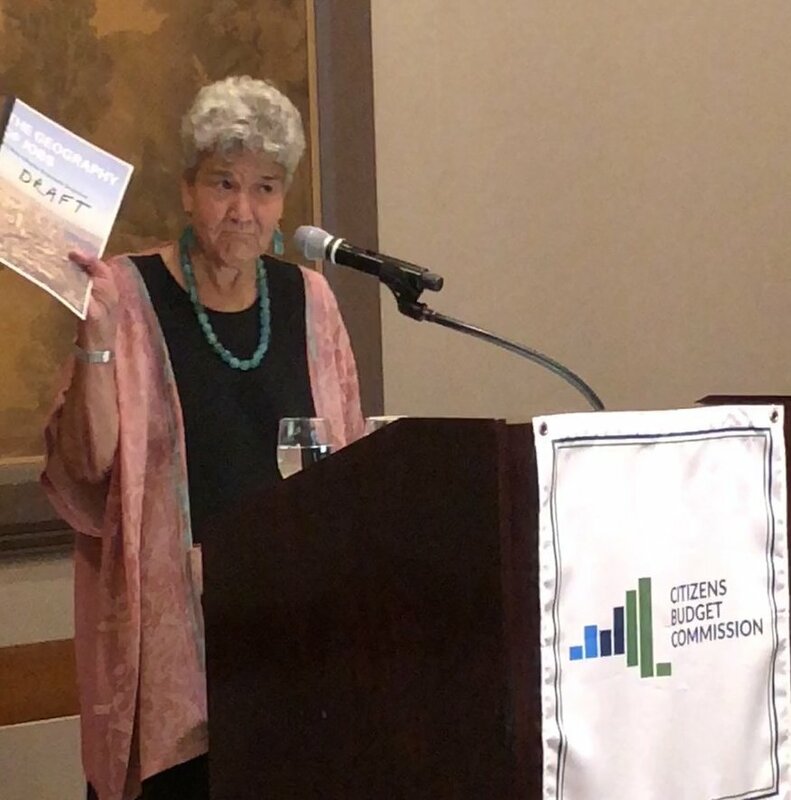 Lago also encouraged the audience to reach out to her department with information on onerous or nonsensical regulations, zoning standards, and “bottlenecks” in development. Note: this article has been corrected to reflect that New York City is home to 8.6 not 8.5 million; that the region includes New York City and 26 other counties, not 31 (31 would include New York City's five); that the region is home to 31 million people; and that nearly 30% of the city's workforce live beyond its borders. Facing major, city-wide challenges now and into the coming decades, the city’s approach to development and planning is byzantine, narrow, and somewhat haphazard. The vast, diverse city of 8.5 million residents and millions more visitors every day is often looked at by neighborhood, legislative district, or borough. At the same time, infrastructure investment decisions and project implementation lack transparency and efficiency. City government has no coherent, overarching plan for growth and the challenges that come with it -- housing, transportation, climate resiliency, school seats, garbage collection, and more -- and city officials don’t believe that one is necessary. As the administration of Mayor Bill de Blasio continues to implement a 12-year affordable housing plan and a 10-year jobs plan, it is also adding to its transportation agenda in piecemeal fashion, and adjusting a wide variety of other policies in at least partial silos of agency planning. The administration is slowly moving down its list of neighborhood rezonings in an effort to create more affordable housing and improve community services, which include infrastructure investments, job training programs, and more -- but they do not fit into a larger connected vision of where the city is heading, leaving those invested in the city’s future with little more than projected numbers of new housing units and jobs, among other numerical goals like lifting hundreds of thousands of people out of poverty and reducing carbon emissions, and largely disparate local projects. The Department of City Planning, which helps craft the neighborhood rezoning plans, would be the logical place for the creation of a city plan, but none is being drafted there, and top City Planning officials dismiss the notion that one is needed. In its efforts, DCP works with the Economic Development Corporation (EDC), a city-run nonprofit, the Mayor’s Office of Management and Budget (OMB), the City Council, community boards, and other agencies and entities, including elected officials like borough presidents and City Council members. While some current and former city officials believe the ongoing approach is more than adequate, other experts believe the city should and could be doing better planning that is more coherent, inclusive, and transparent. Laremont was referring to the city’s land use rules, its zoning regulations that, generally speaking, dictate what types of building are allowed to be built where, and to what size. For example, whether an area of the city is zoned for commercial, residential, or manufacturing use, and how big the buildings can be, from small homes to large apartment buildings, for instance. The city’s 100-year-old zoning text has been amended many times, including in sweeping fashion during de Blasio’s first term in order to mandate affordable housing when a developer receives permission to build more densely on a plot of land or during a neighborhood-wide change to the land use rules that allows more height. According to Laremont, this approach offers a pragmatic, incremental strategy that suits the city. “This is such a dynamic city, in terms of where people live, where they work, we actually believe that it would not be productive to try to sit down and come up with a plan, because that dynamism really leads to a need to be responsive and nimble,” she said when asked why the city doesn’t have a comprehensive master plan. Meanwhile, the Regional Planning Association (RPA), a non-profit planning association founded in 1922, recently released its fourth regional plan, which cites significant difficulties currently or soon to be faced by the tri-state region encompassing New York City, and recommends a long series of ambitious infrastructure investments, institutional reforms, and policies. What the RPA produces every generation may be as close as there is to a master plan for the New York City area, but it takes a much wider lens and is not something that city officials endorse, though many of its recommendations are likely to influence government decision-making. RPA’s new plan aims to combat forces that could undermine the growth and health of the region, including overwhelming population additions, wealth inequality, climate change, crumbling infrastructure, and inadequate public institutions. It reports a number of alarming figures about the future of the area: based on current trends, the tri-state region is expected to gain 1.8 million inhabitants but only 850,000 more jobs by 2040; for the bottom three-fifths of households, incomes have stagnated since 2000, and more people live in poverty today than a generation ago; in the NY-NJ-CT metropolitan region, a total of 46% of households spend more than 30% of their incomes on rent; and, today, more than a million people and 650,000 jobs are at risk from flooding, along with critical infrastructure such as power plants, rail yards, and water-treatment facilities. How well prepared the region and, specifically, New York City, are to deal with these difficulties remains an open question. The latest RPA plan includes recommendations from expanding the subway in New York City to implementing congestion pricing to unclog Manhattan streets to increasing access to healthy, affordable food in every community. The city’s Zoning Resolution was first adopted in 1916 to limit the bulk of skyscrapers because of widespread anxieties that they would block air and light from the streets below. Over the last century, it has been incrementally altered, in part to respond to population growth, technological advancements, and changing industries and trends. Its text establishes the zoning districts for the city and the regulations governing land use and development. Any change to the zoning resolution has to be ratified by the City Council as well as the City Planning Commission, a 13-member body, with seven members appointed by the mayor, five appointed by the borough presidents, and one by the public advocate. The commission is different from the Department of City Planning, though they interact constantly, with the commission voting on many proposals that originate with or come through DCP. Among other tasks, DCP is responsible for making sure that new development conforms to the Zoning Resolution, reviewing applications for land use, and producing Environmental Impact Reviews to assess how development might affect its surroundings. These represent the first stages of the Uniform Land Use Process (ULURP), which is triggered on a variety of circumstances including significant proposed changes to a plot of land or neighborhood. While local community boards and the borough presidents have formal opportunities to publish recommendations on land-use decisions in their districts, they are only advisory, and the City Planning Commission ultimately has the power to approve or deny each new development, followed by the City Council, which has final say on land use matters. As City Limits reported in 2017, the City Planning Commission rarely stops major developments. Carl Weisbrod was chair of the City Planning Commission and Director of the Department of City Planning from 2014 to 2017, as appointed by Mayor de Blasio. Like Laremont, who worked for Weisbrod before he retired from city government, Weisbrod told Gotham Gazette that a city-wide plan is undesirable. He pointed out that such a plan would be a lengthy and costly exercise, and discussed the last time the city tried to make such a plan, the 1969 Plan for New York City, which was never adopted. Weisbrod said the proposed plan took so long to complete that it was outdated by the time it was finished. Under Weisbrod DCP made a number of reforms: including adding the Mandatory Inclusionary Housing policy to the zoning code; creating the Department of Regional Planning, directed by Carolyn Grossman Meagher, in order to connect New York City’s planning process to the wider region; creating a capital budget division to establish cooperation between DCP and the Mayor’s Office of Management and Budget; and creating a $1 billion neighborhood development fund to support growth with public investments in parks, transportation, streets and sidewalks, and other improvements. Weisbrod stressed that a city-wide development plan would be incompatible with the city’s dynamic economy. The problem with making such a plan, he said, is that “the market has to wait to see what the plan is going to be, or it will go in a different direction,” thus disrupting the plan. Laremont said similarly on the podcast. “If, for example, the city were going to get Amazon[‘s second headquarters], anything we were thinking previously about what might be appropriate in various places might be proven completely wrong,” she said, in reference to the notion that big plans can quickly become obsolete. The city’s approach to development has been to “react to market forces and take advantage of market forces,” said Weisbrod. When asked, he added that the city doesn’t just wait for opportunities presented to it, but also takes a proactive role in shaping development. He pointed to planning initiatives at Hudson Yards, Times Square, Battery Park City, and Willets Point as examples of successful interventions. A master plan, he said, “suggests a top-down approach to neighborhood development, and it ought to be a bottom-up process...that has been the approach of the de Blasio administration.” Weisbrod stressed that the city’s planning efforts were done with close attention to communities. DCP uses a wealth of detailed information about the demographics of neighborhoods, consults local stakeholders, and collaborates with other governmental entities, such as the Department of Housing Preservation and Development (HPD) and the New York Housing Authority, in order to make planning decisions. “It may seem chaotic from the outside, but planning is a very thoughtful process,” Weisbrod said. Some community advocates do not share Weisbrod’s confidence in the process. The de Blasio administration, like others before it, has been criticized for not being proactive enough in engaging communities where significant change is being eyed, for not taking enough community input into consideration, and for implementing policies that enhance negative effects of gentrification rather than ameliorate them. Michelle de la Uz -- appointed to the City Planning Commission by de Blasio when he was public advocate, and reappointed by current Public Advocate Letitia James -- has become one of the de Blasio administration’s most ardent critics, often voting against the city’s housing and development proposals because she believes they do more harm than good and that the housing is not at the levels of affordability it should be. It is a sentiment shared by Chris Walters, the Rezoning Technical Assistance Coordinator for the Association for Neighborhood & Housing Development (ANHD), an umbrella organization of around 100 non-profit affordable housing and economic development groups serving low- and moderate-income New Yorkers. 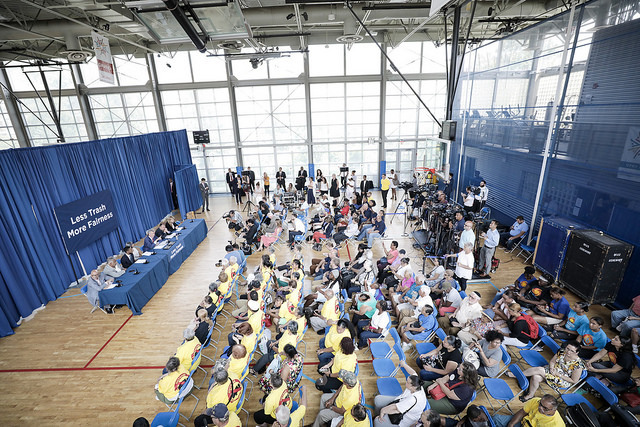 Walters has been involved with some of the campaigns opposing the recent neighborhood rezonings, for example the Bronx Coalition for a Community Vision, providing technical assistance and helping draft policy counter-proposals to those offered by City Planning. As Gotham Gazette has reported, the rezonings that have passed -- in East New York, Downtown Far Rockaway, East Harlem, and the Jerome Avenue corridor in the Bronx -- will create more residential districts and allow for higher-density development, a crucial part of de Blasio’s plan to create or preserve 300,000 affordable housing units by 2026. As part of the rezoning plans, these neighborhoods are also slated to receive substantial infrastructure investments in public housing, transit, parks, schools, and other community benefits. However, community advocacy groups and some elected officials and outside experts have expressed frustration at the fact that the rezoned neighborhoods are primarily low- and moderate-income communities of color, that these neighborhoods have had to accept higher density in order to receive investment, and they have voiced concerns that the rezonings will spur displacement. DCP maintains that the neighborhoods, often led by the local City Council member, volunteered for the rezonings, with Laremont saying that each rezoning is a “collaborative process between the city, members of the City Council, and neighborhoods, in terms of neighborhoods themselves raising their hands and saying, ‘we would welcome a rezoning,’ because they thought there were opportunities in that.” Ultimately, the City Council as a body does defer to the local member, and, after negotiations, each local member has proudly ushered through the neighborhood rezonings that have passed. But Walters criticized the city’s process for choosing which neighborhoods to rezone as being opportunistic, saying there “was no rationale as to why these neighborhoods have been chosen.” Walters pointed out that neighborhoods like Forest Hills and Bay Ridge are similarly low-density and have good transit access -- reasons given by DCP for rezoning neighborhoods. “If you had a comprehensive plan, which included projections of population increase and the amount of new housing needed, saying, ‘this is what the future will look like,’” Walters said, “[the rezoning process] would be more accountable.” Advocacy groups have not focused on the issue of a city-wide development plan, he said, because “pragmatically, that’s not where groups want to put their energy,” given that there are more pressing matters on their agenda. Walters’ main criticism is that the planning process is not adequately inclusive. He pointed out that members of community boards (CB) are not elected, but are appointed by the borough president and by the City Council, and that they disproportionately represent homeowners and business-owners, who don’t necessarily live in the neighborhood. Community boards do have some influence, drafting a “need statement” for the community, which is then examined by DCP to help it draft plans, and it has an advisory vote in ULURP. Walters said that, despite outreach efforts by DCP, people feel as if plans are already determined before they are presented to the community. “The point is often made in communities that they are not saying ‘no’ to increased density, but they are saying ‘no’ to an unregulated market rate that is going to drive displacement,” Walters argued. While the city’s land-use decisions are mediated through ULURP and the zoning resolution, the past two mayoral administrations have published a version of a long-term strategic plan. On Earth Day in 2007, then-Mayor Michael Bloomberg released “PlaNYC,” which aimed to address climate change and the city’s fast-growing population, putting in one place a series of strategies, but not forming a comprehensive city plan. Mayor de Blasio has since rebranded it as OneNYC, adding equity to the list of major concerns. Angotti, the urban policy and planning professor at Hunter College and CUNY Graduate Center, has mixed feelings about these plans. 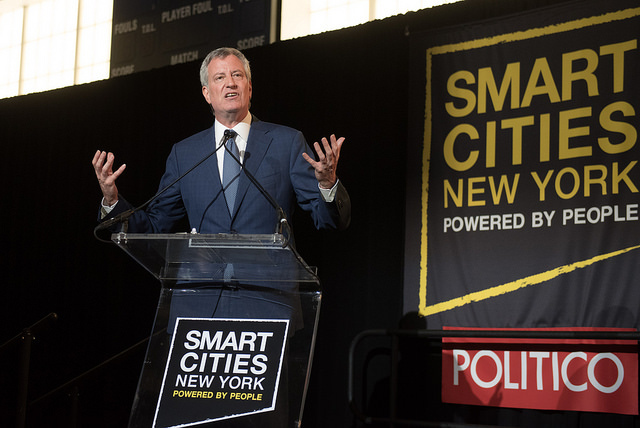 On the one hand, he has seen them as a welcome step towards a more coherent approach to the city’s long-term development, and he praised both Bloomberg for having brought up climate change and de Blasio for having raised equity as primary policy concerns. OneNYC reports that the city has committed to spending $20 billion on a city-wide resiliency program, which includes helping local businesses prepare for flooding risks, helping building-owners with flood-insurance, and addressing risks to infrastructure. Moreover, following Hurricane Sandy, the city introduced a flood resilience zoning update to the zoning resolution, which allowed for development of flood-resistant construction to occur in areas deemed at risk of flooding. OneNYC’s original plan, as well as the 2017 Progress Report, show much of it is a summary of various initiatives and achievements of de Blasio’s administration, organized around the themes of growth, equity, resiliency, and sustainability. With regards to Bloomberg’s PlaNYC, Lander pointed out that Bloomberg had initially hired urban planner Alex Garvin to analyze the city’s future population growth and propose appropriate measures. When Garvin’s report found that the city’s population would reach 9 million by 2030, if not sooner, Bloomberg dropped Garvin from the process, fearing the controversy such a number would provoke, Lander said. The report was leaked to Streetsblog before Garvin was dismissed. “Developers and administration officials generally believe neighborhoods will oppose development, so they gird for battle. Rather than creating space for dialogue about shaping growth or the infrastructure necessary to support it early in the process, they grit their teeth, fight through opposition, and negotiate concessions at the last minute. Lander understands these adversarial assumptions as a cause and a symptom of the flaws of the planning process. In his essay, Lander proposes a host of reforms that are aimed at promoting community planning in conjunction with city-wide planning. During the recent interview with Gotham Gazette, Lander highlighted that he supports reforms to community boards, as well as reforms to the city’s “fair share” system, which is supposed to distribute helpful services and infrastructural burdens evenly across the city. Last year the City Council released a report with recommendations for reform of the fair share system. Several of Lander’s preferred reforms would require a change in the city’s charter. 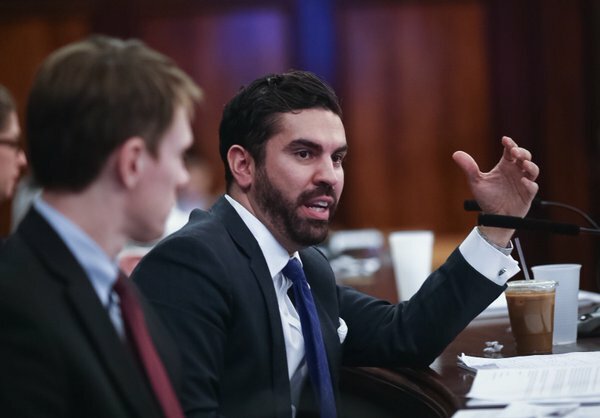 There will soon be two charter revision commissions preparing to recommend changes to the charter for approval or disapproval by voters: one is sponsored by the mayor, with recommendations due this fall, and the other by the City Council in partnership with Public Advocate James and Manhattan Borough President Gale Brewer, with proposals due in 2019. Separate from its fourth regional plan, the Regional Plan Association (RPA) in January published a report, "Inclusive City: Strategies to achieve more equitable and predictable land use in New York City." The report, put together after meetings of a working group that included dozens of individuals from inside and outside government, is focused less on broader planning and more on changing the ways in which the mayoral administration is doing its planning now to make sure that more stakeholders are involved and that community input is more central to the planning process, especially for the neighborhood rezonings that are being proposed and implemented. However, of the four central recommendations in the report, the first is "dramatically increase the amount o proactive planning in New York City." Noting that "the public remains in the dark" about why certain neighborhoods have been chosen for rezonings and the major changes therein, the report calls for "a comprehensive citywide planning framework" that does not currently exist. "PlaNYC and OneNYC demonstrate the City’s ability to think long term and holistically, and a citywide comprehensive planning framework would go a step further by including community district level targets, including those for housing creation and public facilities," the report states. "A comprehensive planning framework would greatly ease public concerns around disproportionate impacts by ensuring proposed zoning changes and other actions analyze and disclose how they further or undermine adherence to the comprehensive planning framework, which would in turn have been produced with strong, meaningful public participation." The city’s infrastructure spending is determined by the capital budget, which is drafted by the Mayor’s Office of Management and Budget (OMB). The City Council has to vote to approve this budget as well as the annual expense or operating budget. According to the OMB website, the city’s capital budget in the current fiscal year, FY2018, is $16.2 billion, which is funded through a variety of sources, including from the New York City Municipal Water Finance Authority, the New York City Transitional Finance Authority, grants from federal, state, and private sources, and city general obligation bonds. The city’s capital expenditures for the current year and the next three years are programmed in the Capital Commitment Plan, and longer-term capital expenditures are scheduled by the Ten-Year Capital Plan, which outlines $95.8 billion in spending, according to the 2017 plan. Prior to 1975, the Ten-Year Capital Plan was jointly published by DCP and OMB. Following the fiscal crisis of 1975, the City Charter was changed and OMB became solely responsible for drafting the Ten-Year Capital Plan. Under Carl Weisbrod, however, DCP created a Capital Planning Division, whose website is still in “beta,” in order to once again give DCP more say in how the city determines its infrastructure spending. The most recent plan, published in 2017, was co-signed by Marisa Lago, the director of DCP, who succeeded Weisbrod when he decided to leave city government. Maria Doulis, vice president of Citizens Budget Commission (CBC), a non-profit fiscal watchdog, said the current process for deciding the capital budget is misguided. Primarily, Doulis is concerned about the lack of transparency around the major investments involved. “We have no insight into the projects that agencies are undertaking -- if they meet the city’s most critical needs, or if they are the easiest to undertake,” Doulis said in an interview. She added that this was not the case for all the city’s agencies, pointing out the Department of Education and the Department of Transportation both have satisfactory levels of transparency. On the other hand, the Department of Environmental Protection, for example, “could post better reports,” she said. The current report lacks specificity -- “what are their goals?” Doulis asks. In the interview, Doulis said that the issues are a result of the fact that those determining the budget have little reason to curb the growth of the capital budget. “[OMB’s] incentive is to improve these [agencies’] projects, the City Council has little incentive to not pass the budget because the short-term effects of debt-servicing are small.” While politically expedient for the time being, Doulis said, the city’s “big outstanding debt liability is a problem because it is paid through the operating budget, and is a fixed cost.” When the next inevitable economic-downturn occurs, “there will be cuts to services,” she said. Meanwhile, the Regional Planning Association said investments needed to meet the city’s coming challenges are even more far-reaching than the “overly-ambitious” budgeting that is currently occurring. But, the RPA takes a regional frame and includes New York State and other non-city governmental entities like the MTA and Port Authority. The RPA suggests changing this structure anyway, with a fourth plan call for establishing a new Subway Reconstruction Public Benefit Corporation to overhaul and modernize the subway system within 15 years. RPA also wants to see transformation of the Port Authority into a infrastructure bank that finances large-scale transit infrastructure projects; expansion of the existing carbon pricing system, the Regional Greenhouse Gas Initiative, to include emissions from transportation, residential, commercial, and industrial sectors; consolidation of the region’s three existing commuter rail systems into one integrated system; expansion of JFK and Newark airports, and more. 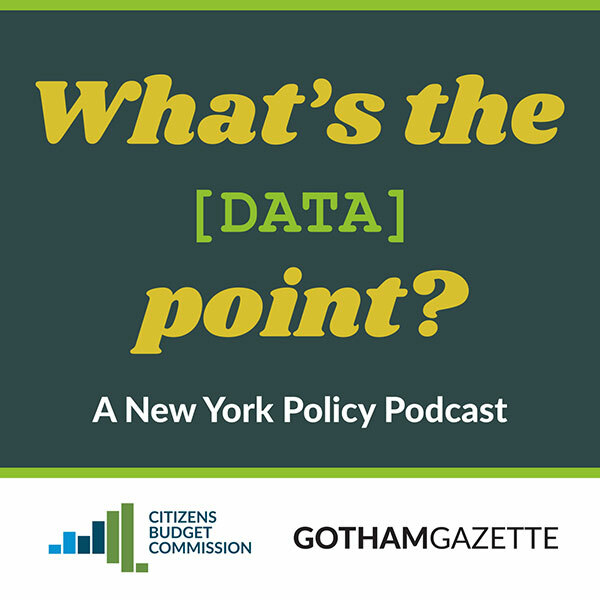 Chris Jones, vice president and chief planner at the Regional Planning Association, joined What’s the [DATA] Point? soon after the Fourth Plan was released. “Each of the plans that we’ve done has really tried to start a conversation about the difficult questions that people don’t think that we can really address because they’re just too hard,” he said. In that real political world, Mayor de Blasio recently said that "each element of our mass transit planning has to be seen individually," when asked a question at a May 3 press conference where he was highlighting the city’s ferry service, which he has focused on expanding. The comment made planners, urbanists, and transit experts groan, further evidence to some that de Blasio does not value real urban planning and that he does not have a vision for integrated transit options in his expansive city where many struggle to get around efficiently. If de Blasio does not have a cohesive transportation plan, he certainly cannot begin to have a comprehensive city plan, though he has not expressed that as a goal. De Blasio has described his transportation vision as being about providing more options and reaching new people. A more extensive subway system would be nice, he said, but given the challenges with such a goal, he is working on other modes of transportation, including ferries, bikes, and a planned light-rail streetcar for the Brooklyn-Queens waterfront, the BQX. “We’ve got to do more than one thing to create a 21st century city with multiple mass transit options that are convenient and that work for people,” he said in response to a question about his focus on ferries. The de Blasio administration’s plan to significantly alter a large section of East Harlem is in the middle of a contentious process, with its fate unclear. The proposed changes to land use rules and infusion of community development resources -- part of the administration’s larger efforts to build more housing, some of it with affordability requirements, and improve neighborhoods -- have not been to the liking of key elected officials and the window for negotiations will close before the end of the year. The East Harlem rezoning plan has hit several bumps in the road as it moves through the city’s process for designing and approving changes to the type of development that is permitted and resources the city will bring into a particular area. Namely, the city’s current proposal faces disapproval by City Council Speaker Melissa Mark-Viverito, who represents East Harlem, and Manhattan Borough President Gale Brewer. The City Planning Commission formally began the Uniform Land Use Review Procedure (ULURP) process for the East Harlem rezoning plan when the proposal was released April 24, followed by the Borough President’s recommendation earlier this month, in which Brewer put forth her non-binding vote of no confidence. Next, the City Planning Commission will hold a hearing August 23, followed by a City Planning Commission review due by October 2. Afterwards, the City Council has 50 days to vote on the proposal, which can be tweaked within certain parameters acceptable to the City Planning Commission. East Harlem is one of 15 neighborhoods that the administration identified early in 2015 as potential areas where the city could build significant amounts of new housing, some of it with affordability requirements, with the goal of boosting local communities through other means as well, including retail and open space, job creation, new school seats, and better transportation infrastructure. The rezonings are a part of de Blasio’s goal of creating and preserving 200,000 units of affordable housing across the city over 10 years. Along with the rezoning of parts of East New York, in Brooklyn, a plan to rezone East Midtown just passed, though it is largely focused on creating new and modern office and commercial spaces. East Harlem could be the second major neighborhood rezoning of de Blasio’s tenure, but, like in East New York, the administration must negotiate with local stakeholders, especially Mark-Viverito, the local Council rep whose opinion is the most important in the process. Mark-Viverito will negotiate with the de Blasio administration until there is a plan to her liking, or she will kill the rezoning. The speaker is term-limited out of office at the end of this year (two leading candidates vying to succeed her have also criticized the de Blasio administration’s plan) and has the opportunity to pass the rezoning before she departs. Mark-Viverito wants to make a deal work. She has seen the rezoning of East Harlem -- especially the affordable housing and community development that would come with it -- as key to her legacy as she prepares to leave the City Council. She helped lead the development of a community-based blueprint, East Harlem Neighborhood Plan, that she and others believe the city has not hewed close enough to in its proposal. At a recent news conference, Mark-Viverito expressed her displeasure with the city’s process, and criticized the administration for ignoring the East Harlem community voice. “We all took ownership for that process so we stand very strongly behind the recommendations of the steering committee of the neighborhood plan,” she said August 9, when asked by Gotham Gazette about Brewer’s recent opposition and negotiations about the plan. Mark-Viverito made mention of the numerous community representatives were involved in the planning process with the City Planning Department, and that the community has made its needs and wants clear. The Neighborhood Plan, a joint effort involving CB11, Brewer, Mark-Viverito, and advocacy group Community Voices Heard, is a more wide-reaching document than a rezoning proposal, including recommendations on everything spanning NYCHA repairs, public safety reforms, tenant protection and park space. The comprehensive 138-page analysis also includes specific models for ratios of market-rate to affordable housing for newly developed buildings. Undergirding the report and the entire conversation is an estimate of 12,000 East Harlem households that the report classifies as in need of affordable housing. East Harlem rezoning, whatever form it winds up taking, will create additional housing, both affordable and market-rate, as well as commercial space, by upzoning much of the Upper Manhattan neighborhood, often referred to as El Barrio. By its current design, the rezoning would allow buildings to stretch up to 30 stories between 104th and 126th Streets in the eastern part of the area and between 126th and 132nd in the western portions. Currently, there is a 120 foot, or ten-to-twelve stories, height restrictions on parts of 125th street and surrounding areas while the rest of East Harlem are not subject to specific height limits. According to the City Planning Department, the upzoning would create approximately 3,500 rental apartment units under the Mandatory Inclusionary Housing (MIH) program, which set asides a quarter of new housing for affordable housing in any new development approved by the city in a rezoned area. The commission estimates the upzoning would spawn 122,000 square feet of commercial space along with 27,500 square feet of office and industrial space.The proposal also includes height restrictions on units built on parts of Lexington Avenue and mandatory apportioning of more affordable housing units in the densest of new developments. Still, elected officials representing the area, in agreement with Manhattan Community Board 11’s stance, fear the upzoning will not sufficiently benefit low-income residents of the area, which has a high poverty rate, and will adversely affect mom-and-pop stores, accelerate gentrification, increase property prices, without enough affordable housing to meet the area’s needs. Brewer went on to cite concerns about gentrification, affordability and building heights, all of which she believes are better addressed in recommendations put forward by Community Board 11. Community Board 11 rejected the proposal, though, like Brewer’s, the vote is not binding -- ultimately, the decision is up to the City Council, which almost universally follows the lead of the local Council member, in this case Mark-Viverito. Mark-Viverito has worked to convene a “Rezoning Task Force” which has met periodically from January to April of this year. "This proposal concentrates new development in too small an area with too much density, likely worsening the effects of gentrification,” Brewer said, echoing CB11’s criticism. “This proposal lacks a meaningful preservation plan and sufficient up-front commitments to save existing affordable housing units,” the borough president added. Brewer also issued a list of recommendations for the city to adopt to make the plan more palatable to the community. The list includes reclaiming lost affordable housing units, lowering the density of potential buildings to preserve neighborhood character, and providing more affordable housing units to low-income residents of the area, particularly those making less than 30 percent of the area median income, which amounts to $23,350 for a household of three. 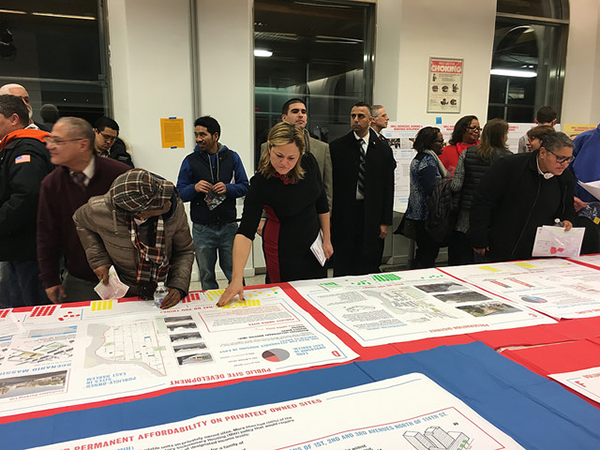 Despite Mark-Viverito’s frustration and Brewer’s disapproval, the effort to rezone East Harlem is far from dead, with negotiations to tweak the plan ongoing. But Mark-Viverito’s opposition, should it persist, would effectively serve as a death knell for approving the current plan, or something close to it, any time soon. The process for approving a rezoning is long and multifaceted. Each proposal must go through ULURP, a process that involves a mixture of behind-the-scenes machinations and public hearings with the aim of creating an upzoning blueprint which includes input from city planners, elected officials, and relevant communities. Rezonings typically take several months, if not longer, to make their way through ULURP. The East Midtown rezoning, for instance, was in the pipeline in different iterations for several years before being approved by the City Council on August 9th. A spokesperson for the City Planning Department said the process has already incorporated additional community input. On August 7, the CPC issued a technical memorandum, called an “A-Text,” or amended text, which addressed concerns coming from the local community board and elected leaders. This particular iteration of the rezoning plan includes height restrictions on buildings on 3rd Avenue, the Park Avenue Corridor and Lexington Avenue -- provisions not included in the original plan. 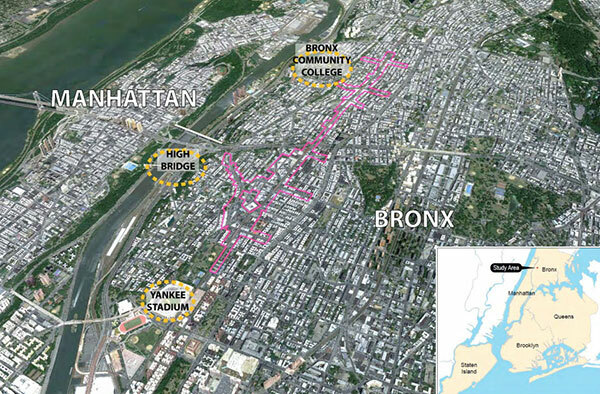 The East New York rezoning, passed in 2016 and seen as a model for others to follow, like East Harlem, includes infrastructure investment, a new school, and a career center to help those seeking jobs, along with the central goal of paving the way towards creating more housing units. The rezoning has also become a key issue in the race for Mark-Viverito’s seat. If the proposal is not enacted this year, the issue will be passed along to the next Council member to represent the district. Two leading District 8 candidates -- State Assemblymember Robert Rodriguez and Diana Ayala, the speaker’s former Constituent Services Director and Deputy Chief of Staff -- also oppose the administration’s plan. Rodriguez and Ayala, both Democrats, feel the city did not adequately adhere to the community’s input, which Rodriguez insisted was a difficult and crucial component to the process. Rodriguez was not convinced the plan would have much benefit for lower and middle-income residents, a very large combined chunk of the neighborhood, which has seen early waves of gentrification. “[I]t’s an aspirational goal that you’ll be able to get some affordability out of the percentage that is affordable in the new developments,” he said. “So what we’re saying is that we hope that the developers take this incentive after we’ve created wealth for them and then go through the lottery process and hope that our residents get in there? Where’s the mom and pop stores?” Rodriguez wondered. Ayala, who has been endorsed by Mark-Viverito, explained her opposition to the city’s plan at a candidate forum. “I think the city’s proposal is very upscale,” she said. “I would like to see deeper affordability as part of the plan. I would like to see more long-term affordability than in the current plan,” she said. “I want to see smaller buildings, I’m not a fan of huge towers,” Ayala said, voicing similar criticism when the topic again came up at the August 8 forum.